Famous Pakistani fashion designer Sobia Nazir has recently launched latest Silk & Chiffon Formal Eid Collection 2013 for women and girls. 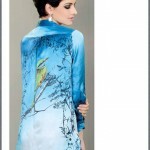 Sobia Nazir is one of the most popular and successful fashion designers of Pakistan. 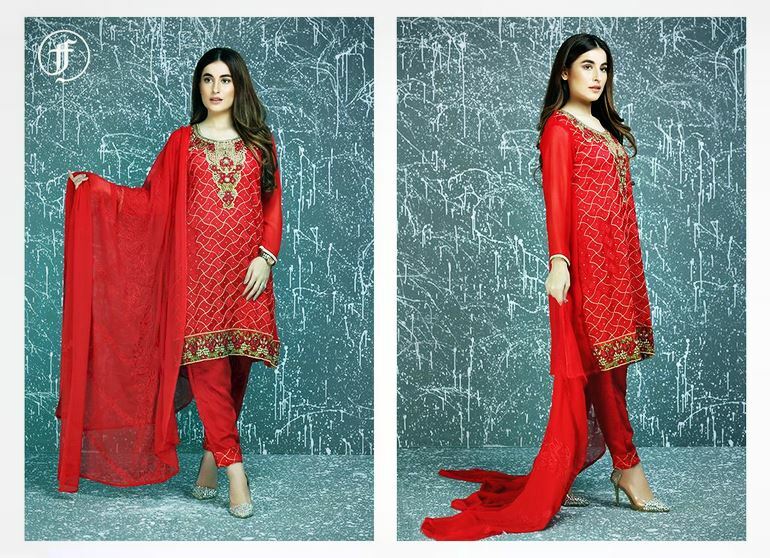 Sobia Nazir Products includes designer formal and Bridal wears fashion outfits. Having been in the fashion industry for nearly 10 year deisgner Sobia Nazir has successfully set up two outlets in Islamabad and one in Lahore. 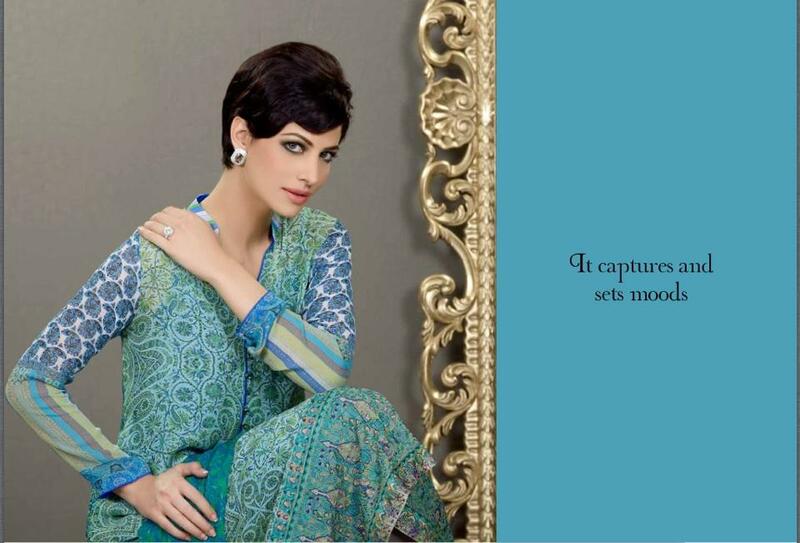 Most of her time is spent in Islamabad coming up with with originative new designs for her stunning collection. Walking into her bridal boutique in Islamabad would make any woman weak in the knees surrounded with such lovely creations. One really wants to buy them all. On top of this on an appointment basis she will always have an individual one to one consultation with the bride to be to give her exactly what she wants for that special day if they want something unique and custom made to their requirements in true celebrity style. 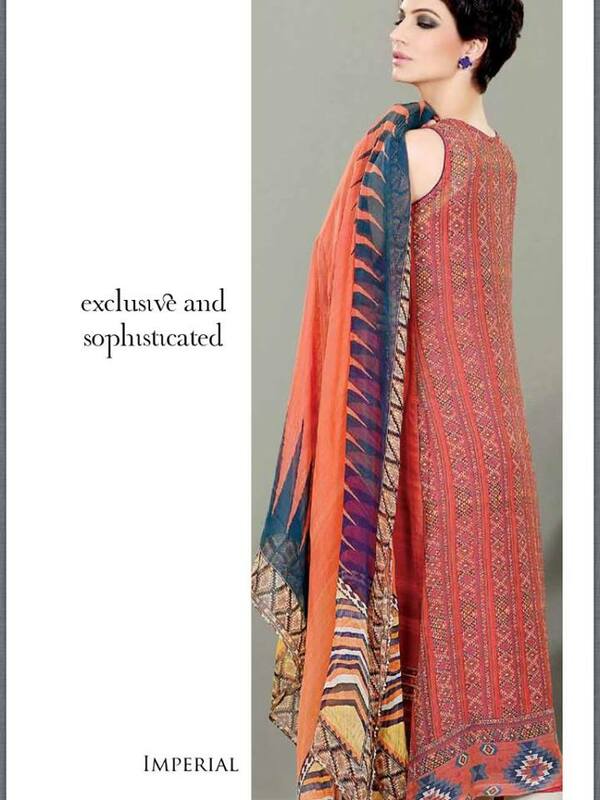 Sobia Nazir latest Formals Eid Wear collection 2013 unstitched suits includes stylish chiffon, crinkle chiffon & silk dupatta with long printed designs and embroidery on necks and back. 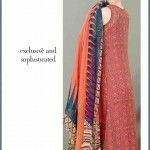 Chiffon shirt and dupatta digitally printed Embroidered border for shirt. 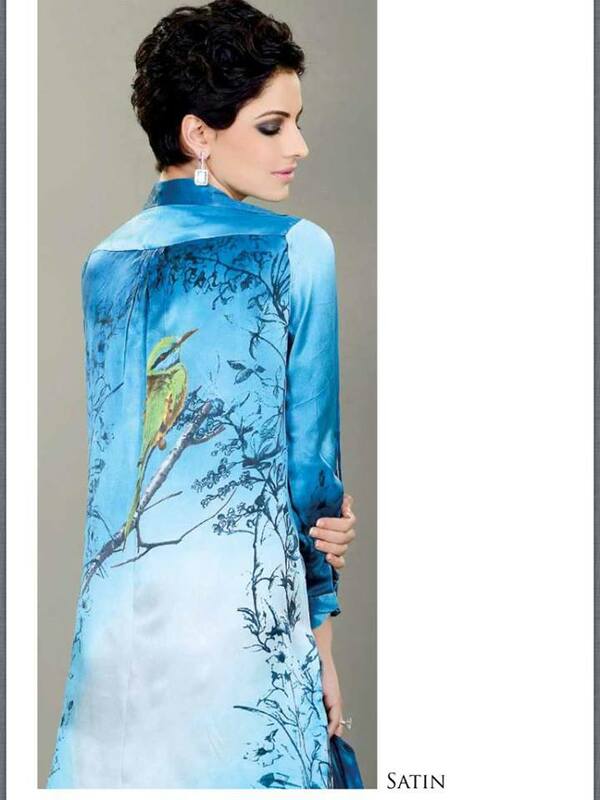 The color combinations of Sobia Nazir are loud and class ony. 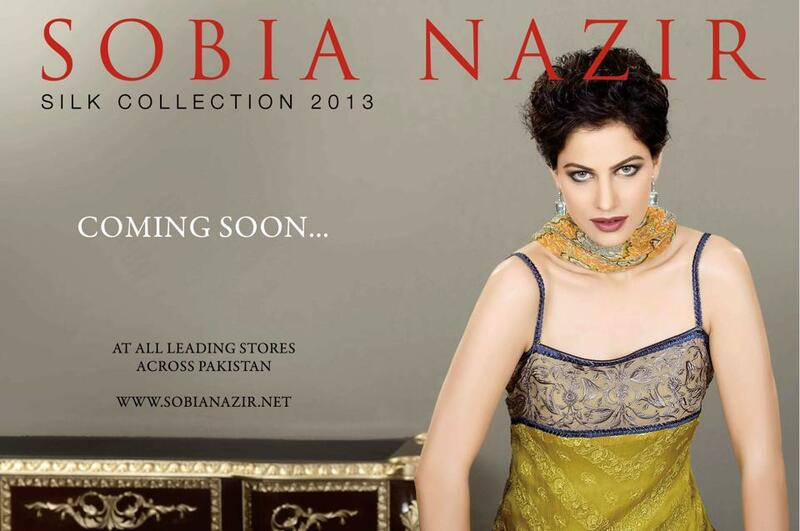 Sobia Nazir Eid Collection 2013 launching on 20th, July 2013 at all leading stores across Pakistan.